Mrs. Van Bazile, of West Jefferson, NC, passed away Thursday evening, October 25, 2018, at Johnson City Medical Center in Johnson, TN, from injuries sustained from a fall. Services will be held Saturday, November 3, 2018, at St. Francis of Assisi Catholic Church. Visitation will be at 10 am followed by the Funeral Mass at 11 am. Burial will be in the St. Francis Cemetery after Mass. A reception will take place in the Fellowship Hall after burial. Van was born on May 30, 1935, in Dowdy, AR and is one of nine children. Van lived in many areas of the country and resided in Jacksonville, FL, for many years before settling the last nine years here in West Jefferson, NC In her retirement years, Van enjoyed traveling, especially seeing family scattered from coast to coast and all spots in between, entertaining and was an active member of St. Francis of Assisi Catholic Church. She enjoyed visiting with friends and was always the first in line to help those in need. 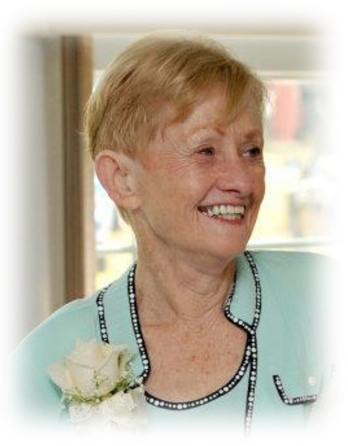 Van was a wife, mother, grandmother, aunt and cousin and will be greatly missed. Van was preceded in death by her parents William Thomas and Hazel Phillips; her siblings: Grisham, Geraldine, Georgiana, Robert, Sue, Max and Patsy; grandson: Mitchell. She is survived by her husband of 25 years, Lee Bazile of West Jefferson, NC; one sibling: Gene Phillips of Charleston, AR; her children: Randy Lee Underwood of Gardner, KS, Richard Keith Underwood of Phoenix, AZ, Nancy Lynn Armstrong (Aelmore) of Overland Park, KS; Lee’s children: Monty Bazile of Lincoln, CA, Victor Bazile of Keystone Heights, FL, Shelley Lusetti of Las Cruces, NM, Melanie Anderson of Elk Grove, CA; thirteen grandchildren: Cody, Siobvon, Brandi, Amber, Jessica, Lyndsay, Crystine, Jacob, Brody, Ellen, Macullay, Isabella, Logan; nine and a half great-grandchildren and numerous cousins, nephews and nieces.